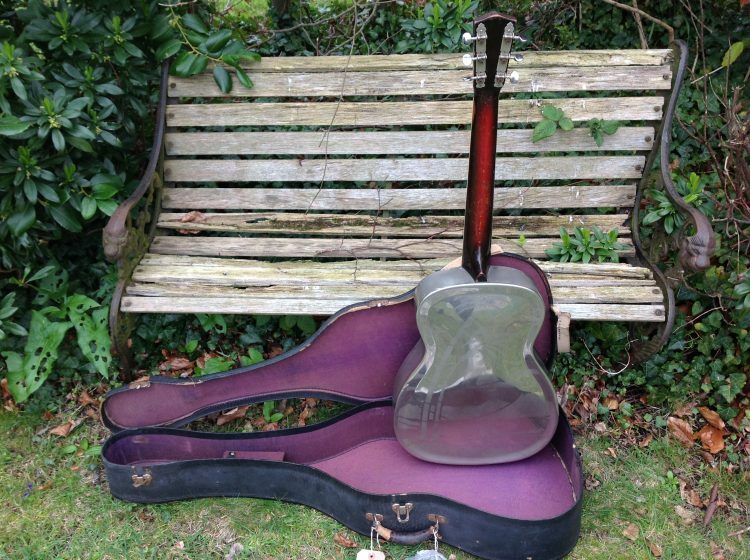 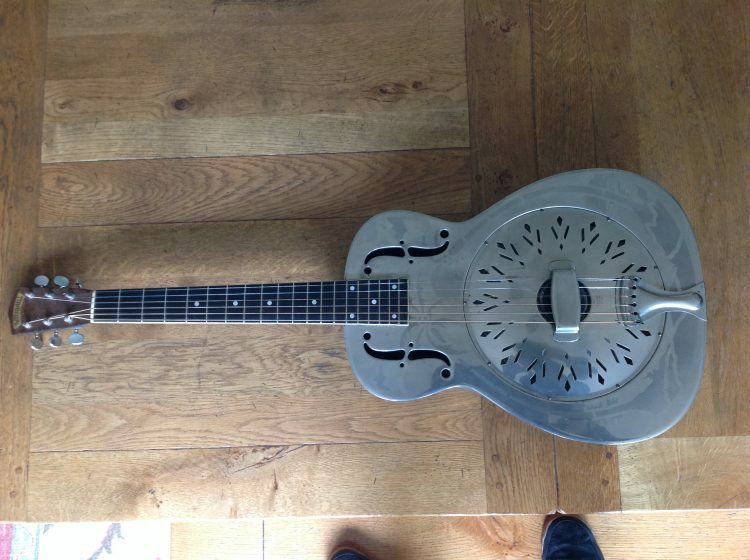 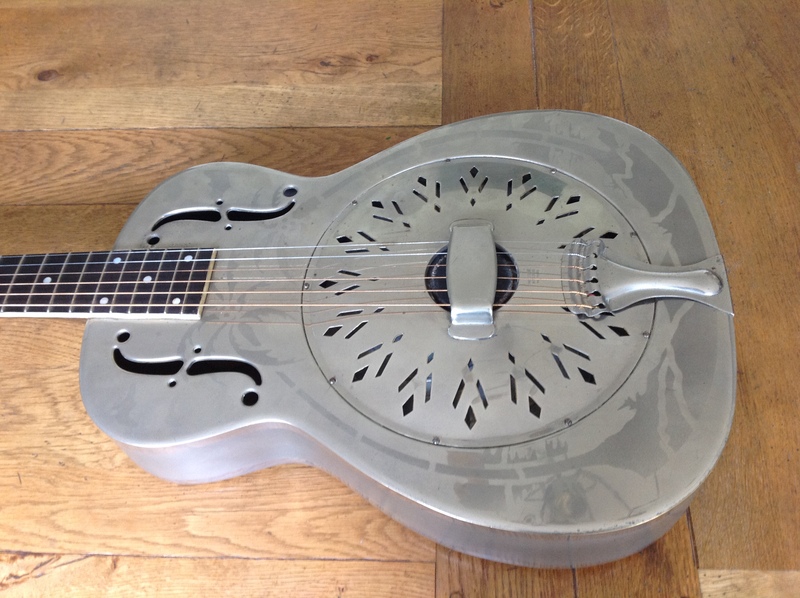 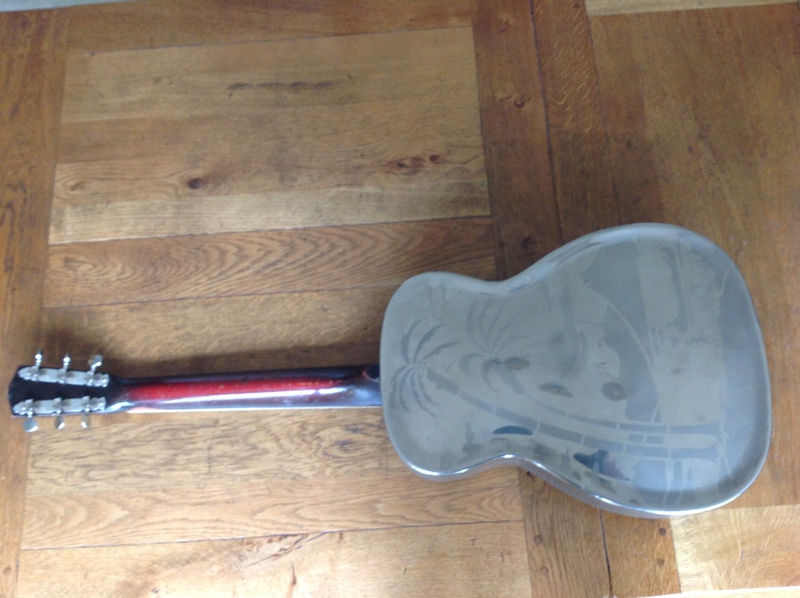 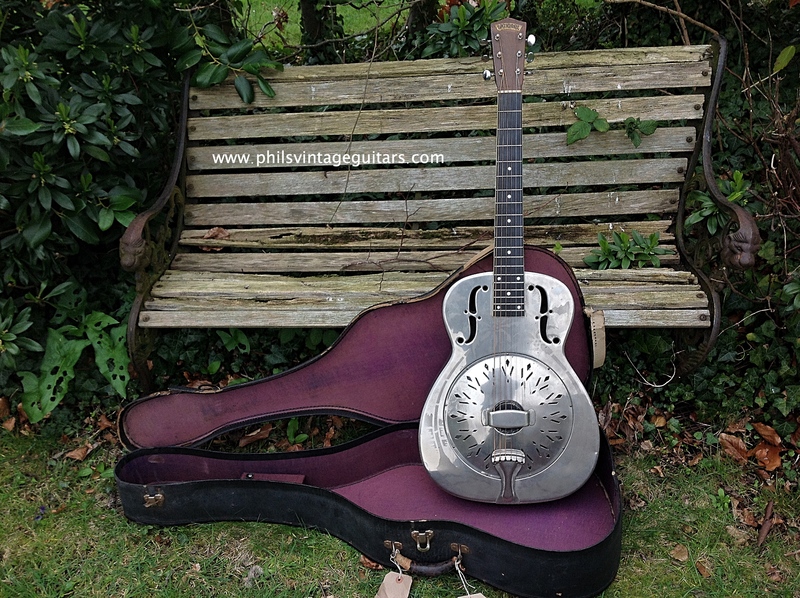 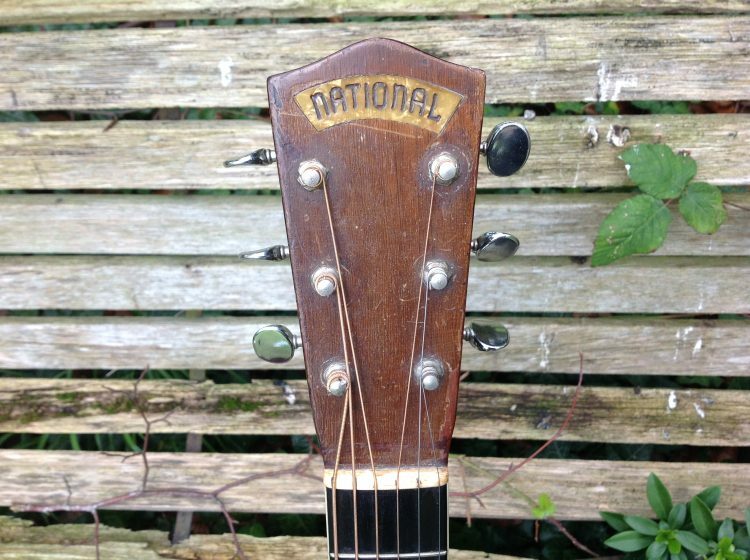 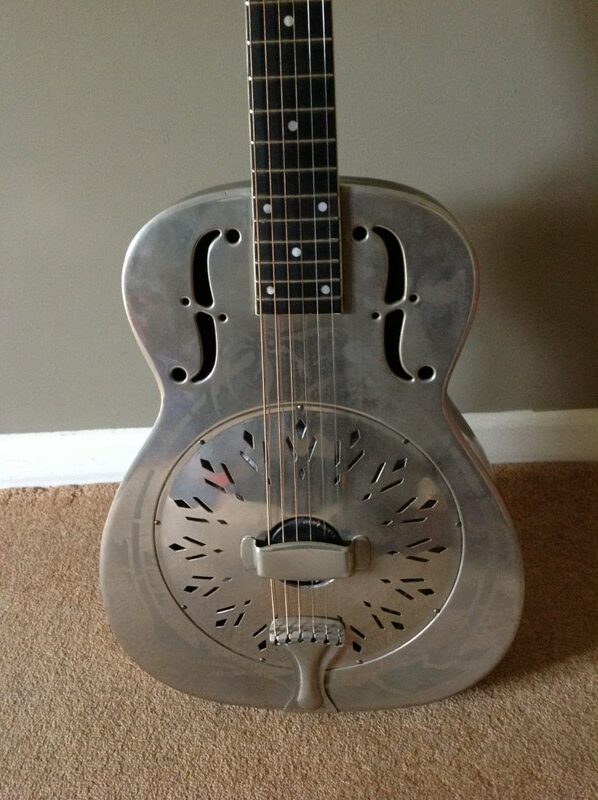 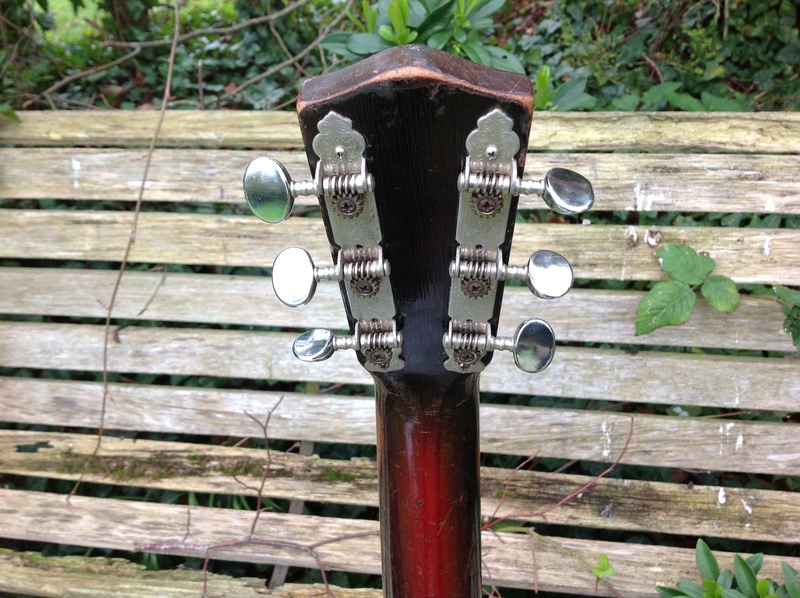 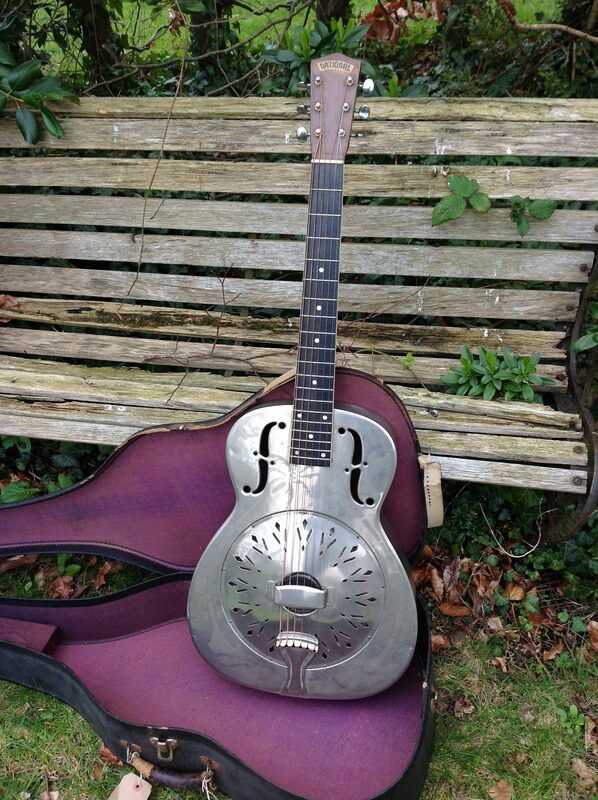 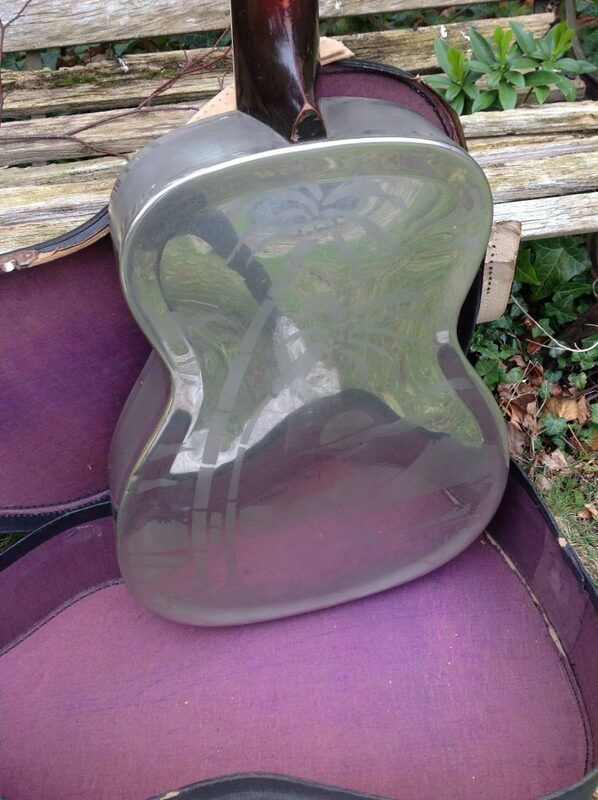 Here we have an excellent 14 fret to the body 1937 National Resonator guitar. Nickel plate on a brass body with the Hawaiian scene etch that these are famous for. 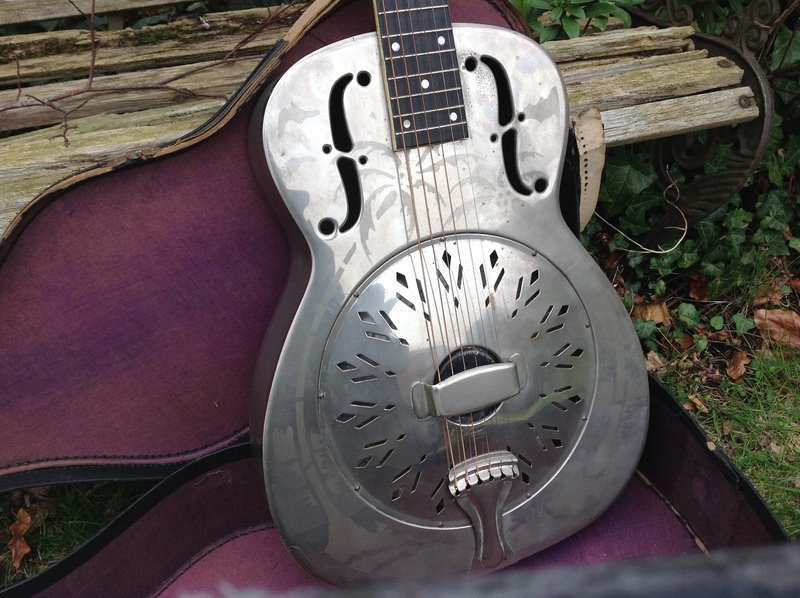 Nickel plate has dulled to give the guitar a very pleasing patina. The guitar looks to be all original and in good shape with the exception of the tuners which are still a 3 on a plate style with no alterations to the headstock. 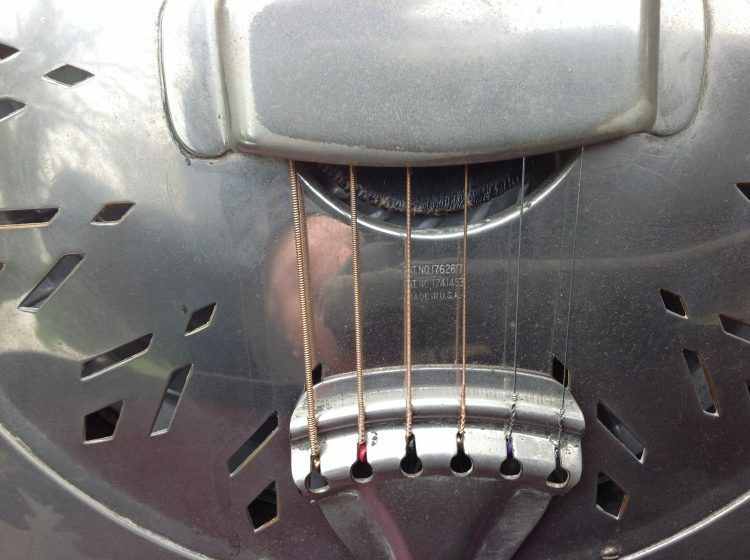 The pick guard is long gone. The bridge in the biscuit has also been changed with the original in the case. 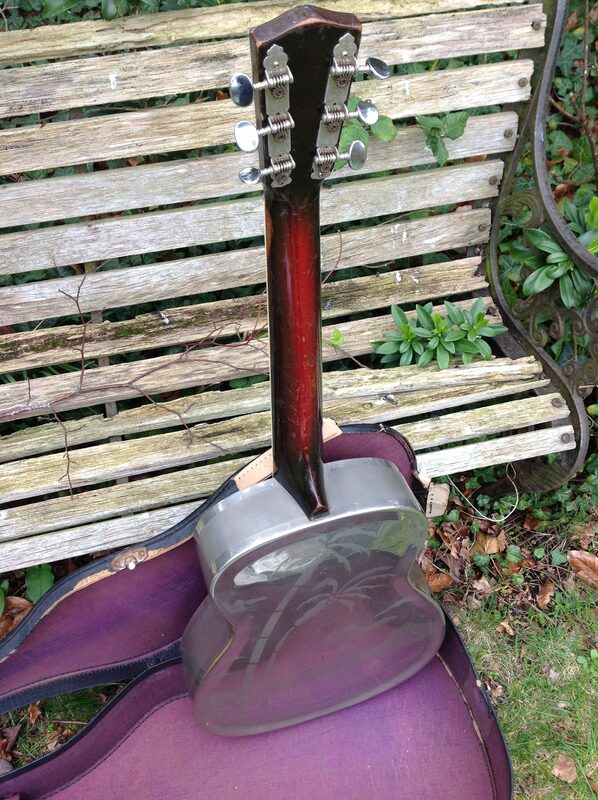 I believe the cone to be original and the guitar is fully sorted and sounds incredible with a huge voice. 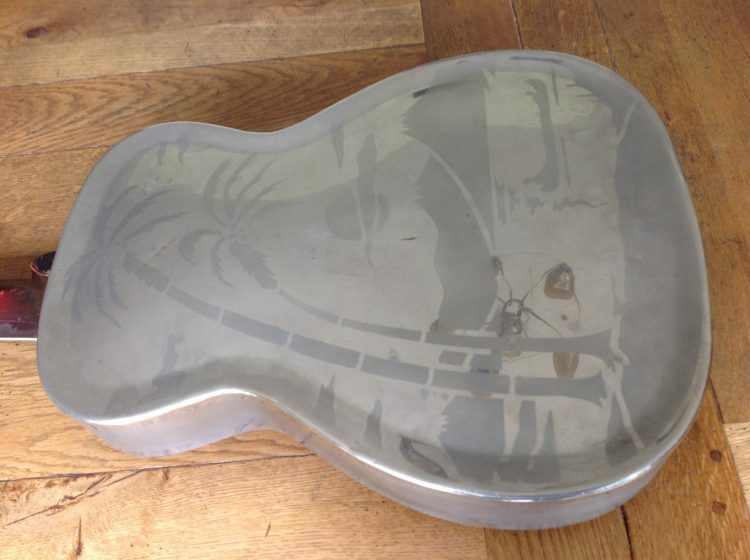 It comes in what is believed to be its original card case. 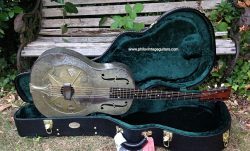 Its really nice to have this alongside our 1932 Duolain its amazing to hear how different they are.